I am not a regular music blogger, nor am I a music expert or critic for that matter, but I saw a band this weekend that merits a big mention. On a regular day, you won’t hear me listening to any rock music of any sort nor will you find me at Zaphods very often, but this particular weekend, I went to support a friend. And to my surprise, I was absolutely blown away. Operator Said is a local rock band with true talent and character. The band is composed of the usual guitarist, basist, drummer, keyboardist and the singer. They describe themselves as a texturally-overdriven rush of hard rock, funk-affected rhythms and electronic influences that have led them to a multi-layered, keyboard-driven sound, held together with thunderous dynamics and a throbbing blend of guitar, drums and bass. Formed in 2010 by bassist/songwriter Alex Jasperse and lead guitarist Paul “Laffy” Lafrenière, Operator Said’s sound quickly evolved with the additions of keyboardist Sandro Guarna, drummer Alex Ferland and vocalist Nicolas Grant. 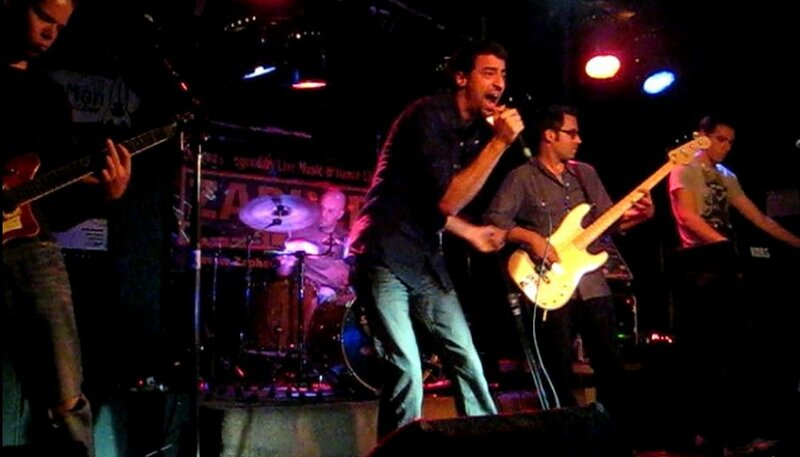 By spring 2011 Operator Said had recorded their debut EP, “Somewhere Else” — garnering descriptions as a blend of alternative pop rock with a whisper of industrial elements. What drew me in the most was not just the music, but the performance. Any talented band can get up on stage and strum a few notes, it takes true character and a passion for music to perform. The singer, Nick, was a true performer. Each song was sung with passion and with such true emotion that it was hard to take your eyes off him. The guitarist, Laffy, has a way with his guitar. Not only were the guitar solos remarkable to listen to, but he made it look so easy. And that my friends is true talent. Every band member brought talent to the stage and as one, they stole the show. So, if you are looking for something inexpensive to do in Ottawa, and if you like supporting local bands, you should definately check out the next Operator Said performance. You can check them out on their MySpace page or on Twitter. I was lucky enough to get a copy of my favourite song for your enjoyment. Here is, Just Another. This entry was posted in PR Word of the Week and tagged local, music, Operator Said, Ottawa by Kristine D'Arbelles. Bookmark the permalink. Thank you Kristine. Alex F.